The arrival of babies is an event, an enormous one. A year in and the dust has settled. We are blessed in the sense that my wife didn’t suffer from post natal depression although suffering badly through the pregnancy. It was me who took a turn after the babies arrived. We switched roles in that respect, I struggled to adjust with the tiredness while my wifes complete focus turned to the triplets. We headed separate ways while she was pregnant, re-connected in the NICU then wandered off emotionally in different directions again. Stress came between us. Tiredness only fuelled my sense of seperation at home. By christmas the babies were settled and life became as normal as it will be from now on, the depression that was biting at me lifted. Hindsight is a wonderful thing, to look back with clarity at what we both went through to bring the triplets into the world and care for them was life changing beyond compare. We both struggled at times, so working together had to be our aim. It was the ultimate test of our marriage, and we had to keep love at the centre of our home or fail. We have gradually found our feet again, and find ourselves dealing with problems a lot differently now. Having triplets pulled us apart, only to pull us back together to be stronger than ever. There needs to be a consistent awareness of each other and ourselves as the temptation to get dragged into stress is ever-present. Our relationship is the most important one under our roof. Our ability to love and stay out of ourselves is what has brought balance to our home. The triplets are content. They live in a calm environment and are free to thrive without the pressures of uncontrollable emotions around them. But it takes work, and a dedication to remain conscious of our rising anger and fears. They are dealt with before they take hold of us. We dont let problems get to the point they start to affect others. 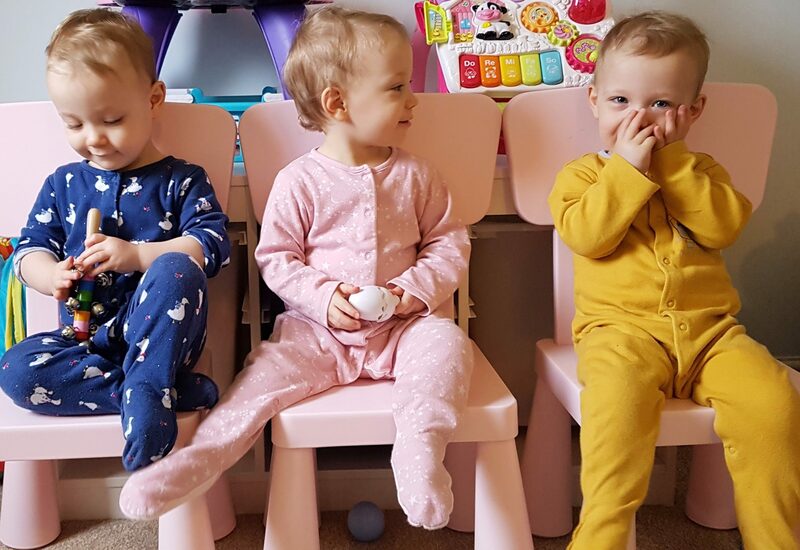 Life with triplets is full on, there’s no days off and it would be easy to to feel hard done by with all the work it takes and the ever changing life we now have. The only way I can feel on the outside looking in is if I allow it to happen. Children need love, they need parents who are present and not absorbed in themselves and their concerns, I learned some hard lessons over the last year. My involvment must go beyond my wants and needs. And since it has, remarkable things have happened. Next Next post: Thank you Tesco – new wheels!